Hi Miss Red Hat Lady! 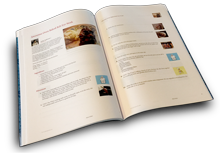 Thank you for including "my" recipes in your great cookbook - all of the recipes sound awesome! "A RIVER RUNS THRU IT" ....REALLY !!! Plus a recipe for you.